We often get asked by customers how they can pull some of the equity in their home out of the property in order to build an extension. Typically there are two main ways to pull the equity out of your property for home improvements and the best option will depend on many different factors including your preferences and circumstances. The most common method would usually be a remortgage. This could be with your existing lender (and would be referred to as a “Further Advance” although most people call it a remortgage), or a new lender which is classed as a remortgage. The upside of sticking with a “normal” mortgage lender would usually be cost. Typically a normal first charge mortgage would be cheaper than any other option (although that is not always the case, so it pays to do the research). The downsides are that it may not be cheaper, you may end up with 2 end dates on your deals if you go down the further advance route with your existing lender. That in turn means you could be stuck with the same lender as there would always be early repayment charges on one part of the Mortgage or the other or one part of your Mortgage would have to spend some time on the lenders standard variable rate for a while until the other part of your mortgage came to an end if you wanted to switch to a new lender. In short, a remortgage or further advance is probably the cheapest way of getting the funds for a home extension but in the longer run it could cost more when you come to wanting to move your mortgage to a new lender or move home. The other option would be a secured loan also known as a second charge loan. There is more information on Secured loans here. The main benefits are speed and flexibility. Secured loan lenders are typically quicker at underwriting applications and tend to need less paperwork. Because of that, you can usually get the money in your bank in less than a month. Affordability rules are a little more relaxed with secured loan lenders than they are mortgage lenders which may mean you can get a larger loan than you would with a conventional mortgage lender. However, this typically comes at a cost and so can be a more expensive way of doing an extension – at least in the short term. 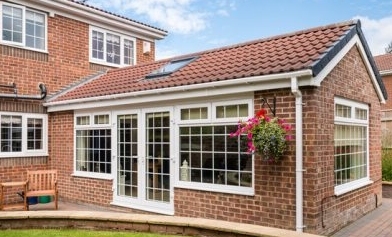 Which is the best way for me to get money for a home extension? As mentioned at the outset, it really depends on you. We would normally suggest a quick chat to get an idea of your circumstances and then we can suggest some options and ball park figures to help you make a decision. To get in touch, please see our contact page. Next Post:Will my Mortgage Application be successful?